People considering buying a car this year may be inspired to pay a visit to their local Volkswagen dealership after one of the company's models recently received a global award. 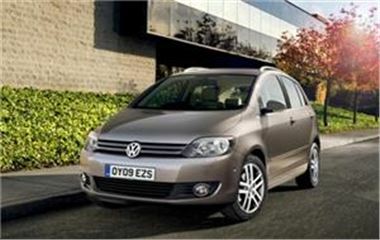 The Golf was revealed as the 2009 World Car of the Year at the New York International Auto Show. A jury of some 59 journalists from 25 countries were responsible for selecting the winning model. Speaking on behalf of the victorious firm, chief executive officer Stefan Jacoby said: "It is a tremendous honour for Volkswagen to have its global best-selling model, the Golf, named the 2009 World Car of the Year." The company stated the vehicle has been popular since its launch, with some 26 million units sold across the globe. Last year, the sixth-generation edition of the car was unveiled at the Paris motor show. In other news, the latest version of the Golf Plus recently went on sale at showrooms up and down the UK.